With so many needy American families, should people who earn hundreds of thousands of dollars a year live in public housing? Shouldn't being a millionaire prevent you from living in public housing? I wish these were stupid questions. 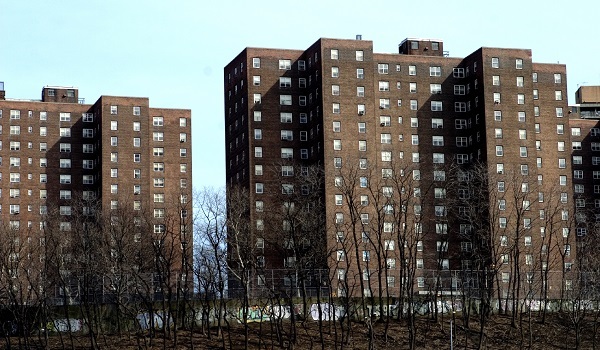 The OIG's review of the Department of Housing and Urban Development (HUD) public housing programs found a case in New York City where a public housing family earned just short of $500,000 annually. Cases from California and Massachusetts revealed public housing tenants earning over $200,000 annually, and a case in Nebraska showed an annual income of $65,000 but assets of over $1.6 million. How does this happen? The primary reason is that there are no time limits on evaluating a family's qualifications for public housing. HUD only requires that families meet the income requirements when they are admitted into the assistance program. Beyond that point, there are no time limits on how long a family can stay. From the federal perspective, as long as tenants are meeting the terms of their rental agreements, they can continue to stay in public housing. Local authorities argue that a mixture of incomes not only brings in more income, but it also makes the project more desirable and prevents concentrations of poverty. Such families serve as an example to struggling families -- they show a path to success and a more stable lifestyle. The income part of the argument is not trivial, either. According to HUD, if all of the overincome families were forced to find housing on their own, the loss of income to HUD would require an extra $116.5 million in annual subsidies. The sensational cases listed above can be misleading as to the nature of the problem. Just over 50% of the overincome families were $10,000 or less above the minimum HUD income -- not a staggering amount in most housing markets. Since 1.1 million families reside in public housing, the overincome rate is only around 2.6%. Even so, it would seem that there is middle ground available. There is no reason for people making multiples of the median income to stay in public housing -- but from the perspective of the overincome tenant, why would you want to go through the headache of searching for new housing and paying more rent than you have to? Nobody wants to kick needy people out of their public housing, or set up incentives for a family to keep their income low just to qualify for public housing options. However, it is reasonable for housing authorities to set up some type of graduated system that nudges well-off public housing residents to find their own housing and open up room for a family in greater need -- and HUD officials should be able to evict residents at some level of income relative to the local housing market. Not everyone can be expected to do the right thing and give up inexpensive living space to a family that is in much greater need.